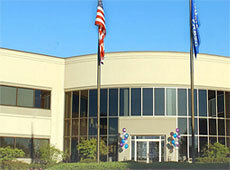 Benmatt Industries has been an operating division of LaFrance Corporation since 1953. We are the largest manufacturer and supplier of automotive dealer identification products. Our primary focus is in the automotive dealership marketplace where we provide a broad range of On-Car Advertising, Promotional, and Business Functional Products. LaFrance Corporation, Benmatts parent company, was established in 1946. LaFrance is a worldwide leader in the design, development, and manufacturing of a variety of identification products for a number of Fortune 500 companies in a wide array of industries. Product lines include branded logos and functional decorative products. Through our expertise in the automotive industry, our extensive services, and our wide range of image building products, our nationwide reach helps automotive dealerships build their image and retain and expand their customer base. Benmatt personnel stay up to date with industry advertising and image building strategies in order to support our customers branding goals.